Grey_Legal_Plastic_Envelopes_-_975x145 is rated 5.0 out of 5 by 1. How many sheets will they hold? The ones with expansions can hold up to 125 sheets, the ones without expansion can hold up to 75 sheets. Hope this helps! 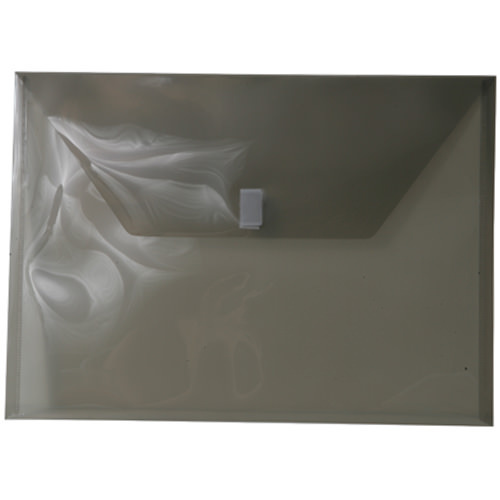 Tie it in, lock it down or snap it shut with these large Smoke Grey Legal Plastic Envelopes. With multiple styles and closure options to choose from, you can be certain to find the great grey storage for you. An organized office is a happy office. You wouldn't want to find yourself scrambling around at the last minute looking for that important file or document, so don't let it happen. A semi-transparent smoke grey allows you to quickly get a glimpse at the contents while finding what you need fast and effectively. So that meeting that you were late to last week, well you might be more than just on time, you'll be early! Grey 9 3/4 x 14 1/2 Plastic Envelopes and are available in legal booklet and legal open ended style. Perfect for those legal sized papers you don't want to bend or crease. They feature button & string, snap and Velcro® Brand closure options.